Hunt for prized-eggs along the 5k route! 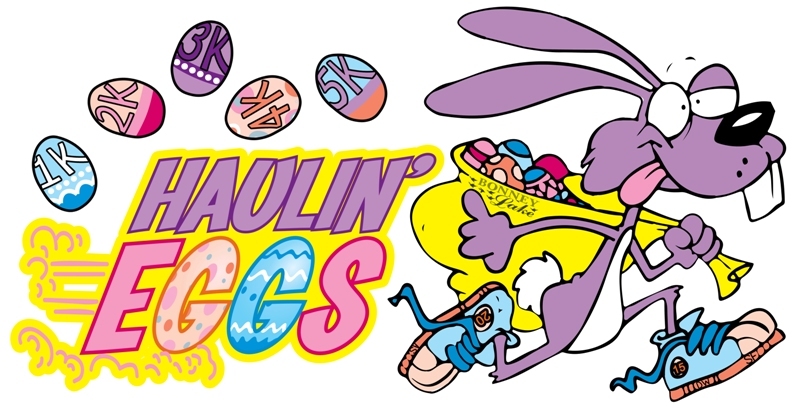 The Haulin' Eggs 5k Fun Run is a hilly course where you literally haul eggs as you run! During this unofficially timed 5k event, participants will collect one egg at each kilometer; each egg corresponds to a goodie at the end of the race. The 5th, and final egg will be an egg-shaped finisher prize. Awards will be given to the overall first place male and female finisher. After the race, join us for a family Easter Egg hunt through Allan Yorke Park. Visit www.citybonneylake.org/events for more details. *Refunds will not be provided for canceled registrations.